Neil Keenan is “The One” – He has been elected as The Amanah by the Elders of Indonesia! * The Long & Winding Road to Recovery – Who is Neil Keenan? This might sound small but it is as big as M1 status considering Indonesia is ‘the house that Sukarno built’ – or in other words where most of the OSS World War Two assets were laid to rest. We are talking about Quadrillions if not Quintillions of dollars in assets that are resting their heads in just a few Asian countries. Indonesia is one of them! The Amanah, is the title given to the one who is and has shown his concern, care and love for not only Indonesia but for all other nations in our efforts to stay alive and relevant. This individual is directly responsible and in charge of the deposits in all the bunkers that were placed there by the Asian Nations who brought large amounts of gifts when Sukarno was voted the first and only Amanah. After many years of fighting with the Cabal / NWO / Khazarian / Zionists in attempting to keep them out of financial resources in Asia (and even the US and Europe) Neil has prevailed. He is The Amanah! Despite the numerous attempts on Neil’s life you will find him standing, fighting to rid this planet of the vermin that crawl amongst us while claiming to be our leaders. This time he finds himself aligned with other leaders such as Donald Trump and Vladimir Putin; who are feeling and doing as Neil is. Neither of these great leaders are alone, the planet is changing and it is time to rid it of the Cabal that has controlled it for far more than 100 years. It is time to move on to real leaders who have leadership and diplomatic nous that will keep us moving forward without having to look in the rear view mirror to see who is catching up with us. To date this monumental effort has been possible financially only by way of the money remaining in his pockets (after much Cabal thievery) and by way of his team and limited donations. 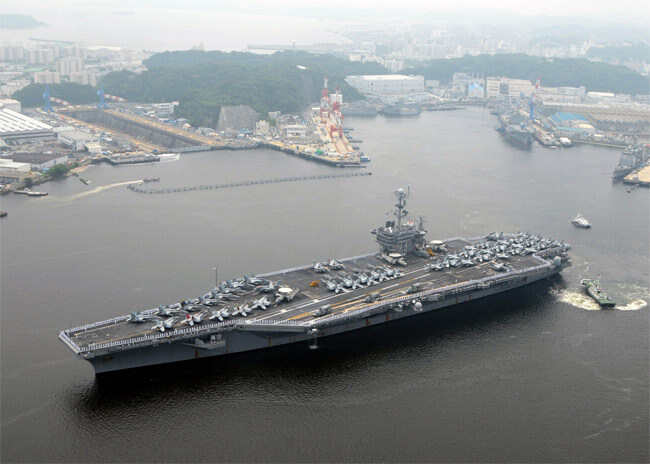 Shown above is the USS George Washington which was involved in an attempt to steal 250,000 metric tons of gold on behalf of the Federal Reserve of New York from South Korea. Neil and his team were responsible for preventing this. 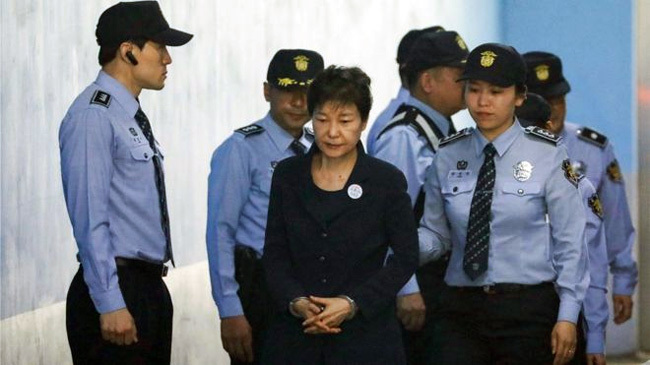 Neil and his team exposed the corrupt administration of President Park in South Korea, thereby putting her in the spotlight which ultimately led to her imprisonment. 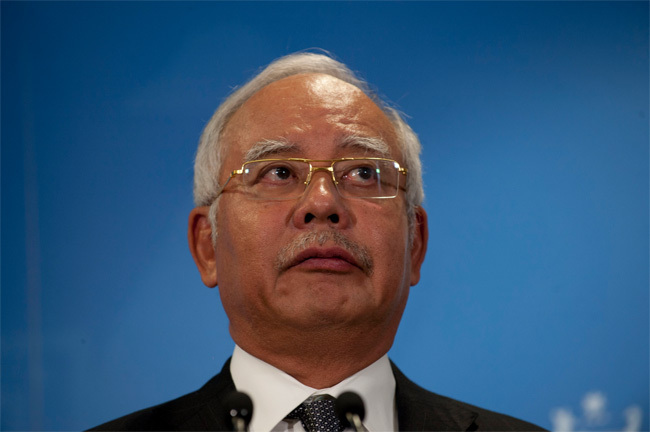 You can also read about the complaints that raised the roofs of the Malaysian Government and helped sort out the blatant corruption of Malaysian PM Najib Razak and his political cronies. As a matter of fact you could have listened in on some parliamentary hearings in Malaysia where Neil Keenan was mentioned as being directly responsible for exposing the corrupt Najib Razak. Neil is now the second elected Amanah after a 50 year or more hiatus. It is not because they did not want one, they simply did not find one that warranted the position. To be The Amanah, a series of rituals take place that will be explained in another post. They had a few candidates that actually moved to the Ceremonial Rituals only to either die or have something horrible happen to them such as going blind or deaf after nearly completing the first stage. This most likely scared off many others as, achieving the status of The Amanah was seemingly impossible. News of such events traveled quickly in the Indonesian Islands. This position is similar to that of being the “CEO” of all the precious items that have been placed under safekeeping for generations. The Amanah document gives Neil full authority over the dispersion of the assets. As a further indicator of his position he has been given the golden stick or “Sceptre of Power” that was once owned by President Sukarno (see the image at the beginning of this article). This sceptre has never been transferred before, the power of this sceptre has always remained in one place and the bunker doors have remained relatively silent which is why the West went about illegally mirroring accounts. 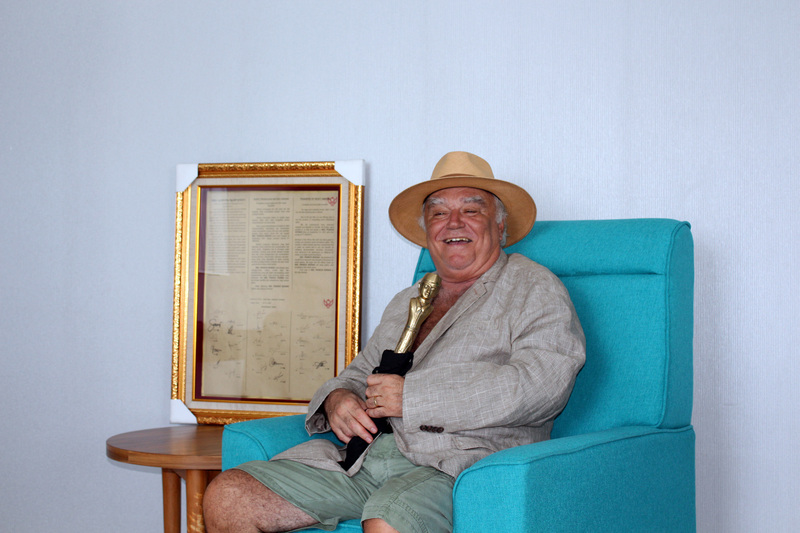 Neil’s holding this sceptre is the equivalent to the transfer of power. We are not talking about a little money here: We are talking about funding in amounts so vast that most would have extreme difficulty in comprehending the size of the figures. While we can try to get our heads around funding in numbers which we can barely imagine, Neil says that once the process commences, that we will continue to see that things will be just fine, as we always have said. This is a once in a lifetime opportunity for not only Indonesia, but the world as a whole. The Indonesian Elders chose the right man, they chose a fighter who is 12 steps ahead of everyone else in the field at all times – not just at this time. They chose not a ‘talker’ but a ‘doer’. He is, as the Indonesians called him after rituals which no one has ever survived from, “THE ONE”. Years ago , the Indonesian Elders stated that they had been waiting 30 years for ‘him’ and that they knew that Neil was ‘him’ then. Neil responded along the lines of “Well if I didn’t know myself then how could anyone else? But the Elders persisted in their claim that Neil was ‘The One’ to the point where he was put through the rituals and was subsequently proclaimed to finally be ‘The One’ that they had foreseen him to be five years prior. Neil Keenan has arrived and will soon be on the world stage with his team, a team that will soon become exponentially larger. 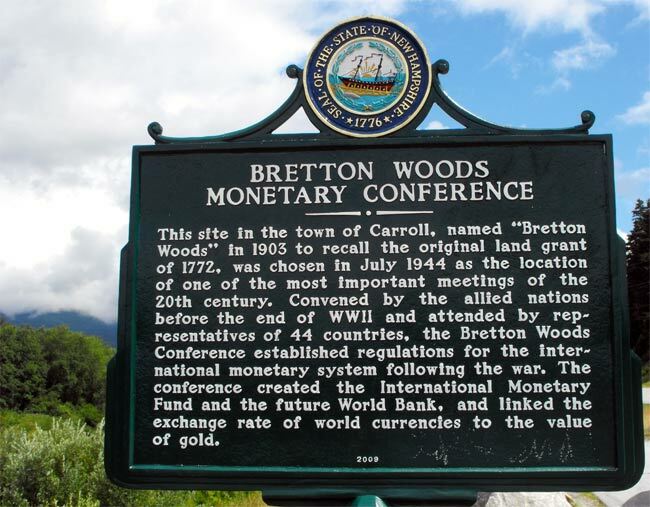 And then this will begin – the work that should have begun with the signing of the Bretton Woods Agreement in 1945. Nothing can stop the juggernaut that Neil Keenan is putting together in a mammoth contribution in an effort in saving our world. So now we leave you with this information, and the knowledge that Neil will soon have another update that will leave you astonished. This will be what everyone has been waiting for. That which follows will be a great ride for humanity. And please rest assured that Neil is not going to change for anyone. He has arrived at this point by doing things his way and that is how he will continue. Fantastic and winderful.Hopefully the wirld can be better and no more war.Live peacefully.